James S. Weliky, a partner at Messing, Rudavsky & Weliky, P.C., concentrates his practice in plaintiff’s employment law. 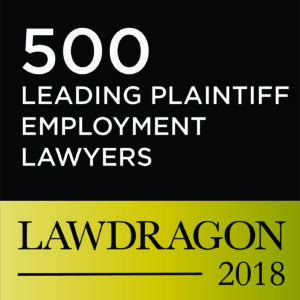 For over 20 years, Mr. Weliky has represented employees in cases involving discrimination, sexual harassment, wrongful termination and a variety of other employment claims in federal and state court and before numerous administrative agencies including the Massachusetts Commission Against Discrimination and the Equal Employment Opportunity Commission. He also represents federal employees in discrimination claims brought before their agency and the EEOC. Recently, Mr. Weliky was lead counsel in the case of Sullivan v. Kahn, Litwin, Renza & Co., in which his client was awarded approximately $1.6 million in damages, attorney fees & interest. He has been with the firm since 1995. Mr. Weliky has been recognized on numerous occasions for his skill representing employees. He received Martindale-Hubbell’s “AV” rating and has been listed in Chambers USA Guide 2016 as an attorney that “garners tremendous respect”, citing his “very good reputation.” Mr. Weliky has also been selected by his peers for inclusion in The Best Lawyers in America© every year since 2012 for his work representing individuals in employment law. 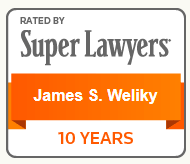 Similarly, Super Lawyers, a list that recognizes no more than five percent of attorneys in Massachusetts, has recognized Mr. Weliky every year since 2006. Earlier in his career, Mr. Weliky was named a 2005 “Rising Star” by Super Lawyers, an award granted to no more than 2.5 percent of attorneys in each state, and was also named one of five “up and coming” attorneys by Massachusetts Lawyers Weekly in 2001. A current and past member of the Boston Bar Association’s Labor and Employment Section Steering Committee (September 2016 – Present; 2012-2015 & 2005-2008), Mr. Weliky was also chair of the Massachusetts chapter of the National Employment Lawyers Association’s Amicus Committee from 2000 to 2006. 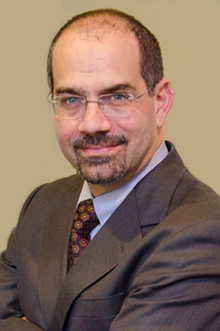 He has served as the Chair and Vice-Chair of the Employment and Labor Law Section Council of the Massachusetts Bar Association (2001-2003); Co-Chair of the Massachusetts Bar Association’s Employee Rights and Responsibilities practice group (1999-2000); and Secretary to the Brown Bag Lunch Committee of the MBA (2000-2001). He co-chaired the 2011 National Employment Lawyers Association New England Regional Conference. In 2011, the Governor of Massachusetts appointed Mr. Weliky to the Boston Finance Commission, a state commission which monitors the City of Boston’s finances and recommends improvements. Mr. Weliky was reappointed each year from 2012 through 2016. Mr. Weliky received his J.D. from Northeastern University School of Law in 1995 and is a 1984 graduate of Oberlin College. The firm practices in state and federal courts and administrative agencies, such as the Massachusetts Commission Against Discrimination, the Equal Employment Opportunity Commission, the Merit Systems Protection Board, the National Labor Relations Board, and the Massachusetts Department of Labor Relations. Call us to see how we can help you. All artwork depicted on this website was painted by Pauline Stiriss, mother of MRW partner Ellen J. Messing. MRW is proud to showcase her work.